Ready to Ship Sign Supply Company Sells Discount Sign Supplies Online! 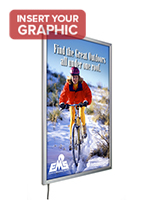 This Sign Supply with Thin Profile Includes a Snap Open Frame! Media Size: 47" x 94"
22" x 28" 22" x 56" 24" x 36" 27" x 41" 36" x 48" 36" x 72"
Despite the fact that the initial expense is greater with these sign supplies than with conventional lighted boxes, this thin profile sign supply that attaches to the wall has several advantages that outweigh their expense. Because LED bulbs are smaller and more efficient than neon bulbs, these sign supplies are thinner and will save you cash in the long run (in electrical power bills). Every thin profile sign supply that highlights images also includes a life span of over 100,000 hours. 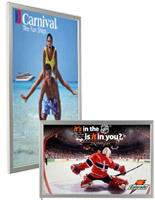 Due to this, backlit frames make excellent exhibits in airports, shopping centers and stadiums. While neon sign supplies may provide vibrant illumination in large areas, their bulbs only last about 2 years before you must replace them. 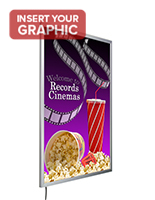 This thin profile sign supply that entices viewers, on the other hand, provides satisfactory brightness and maintenance-free use for over 11 years! LED illumination is not measured in terms of Kelvin; our best approximation is a 6500-Kelvin color rating. Nevertheless, our company does not warrant this measurement, as it is actually an approximation by us. The producers of LED illumination do not officially measure Kelvin Color ratings. If you are searching for a large format sign supply with satisfactory brightness and little maintenance, then our company has the merchandise you need! 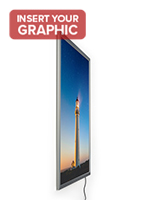 Powered by innovative LED technology, these thin profile sign supplies provide vibrant, even illumination in our slimmest profile ever. The frame measures merely .83" thick. 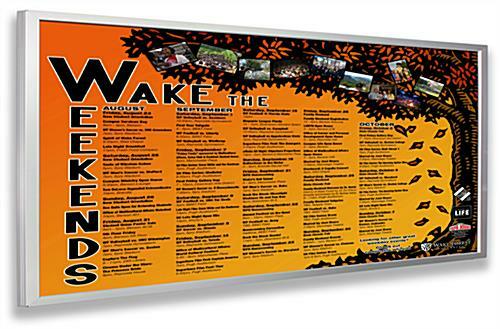 This thin profile sign supply is one of the most beautiful exhibit signs in our catalog. 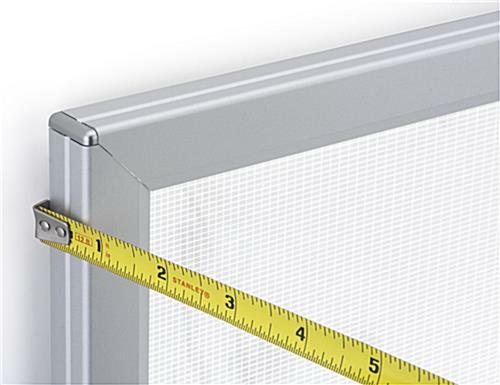 Inside all four sides of the frame are tiny LED lights for even distribution of illumination. This thin profile sign supply illuminates your translucent images to make astonishing artistic showcases without hot or cold spots. A special diffusion pattern in the frame assures that all you view is vibrant, shadow-free illumination, even in extremely large areas. 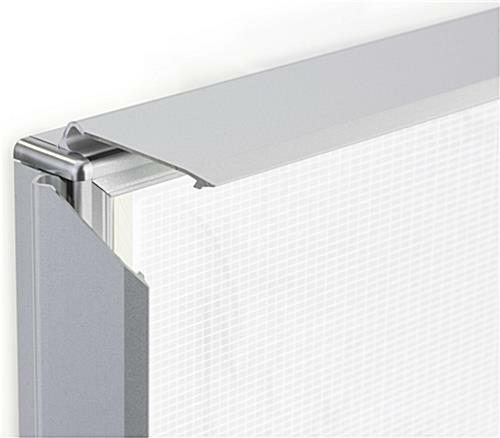 With a "clip-open" border on the frame, this thin profile sign supply with aluminum framing is also extremely practical. 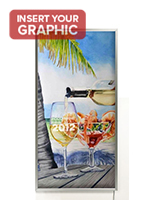 You are able to modify your images with little difficulty without even taking your panel off the wall. 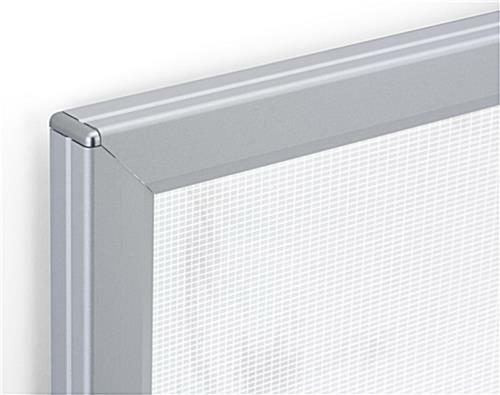 Four predrilled holes enable you to attach your thin profile sign supply with built-in LEDs vertically or horizontally. 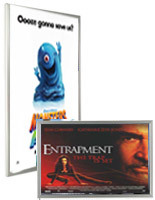 Rounded corners are provided to ensure no one gets scratched on sharp edges. Please Note: Professional installation strongly suggested. 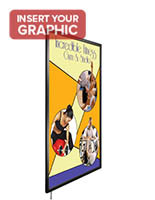 Outside Dimensions: 47-3/4" x 94-3/4" x .83"
Graphic Size of Image: 47" x 94"
47.9" x 94.9" x 0.75"